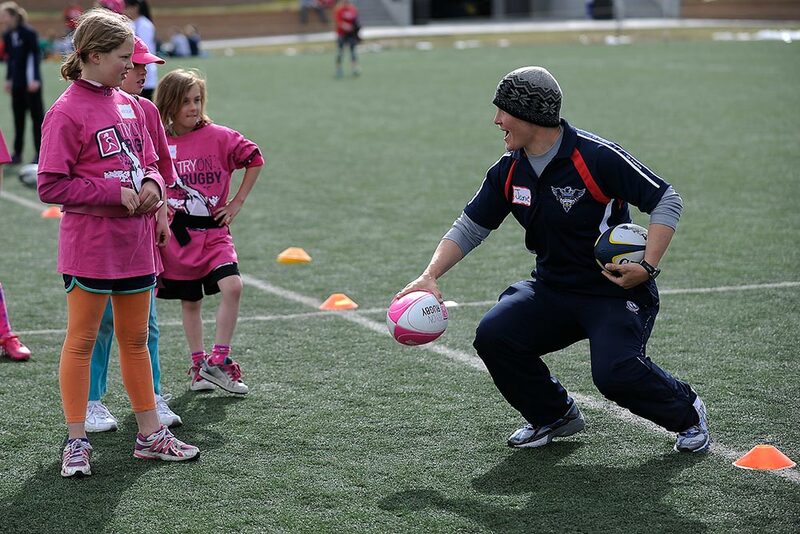 With long-time Youth Rugby Programs Coordinator Jenna Anderson leaving her position after more than 10 years, it was no secret that Glendale Rugby had some pretty big shoes to fill. Despite this, the hiring committee didn’t have to go far to find a top candidate. In fact, they didn’t even have to leave the City of Glendale, as Director of Rugby Mark Bullock recently announced that Glendale Merlins WPL Assistant Coach Jamie Burke has officially accepted the position to lead the Glendale Youth Rugby program starting in late November. Burke is one of those players that may need no introduction to most American rugby fans. She’s the most capped U.S. Women’s National Team member in history, with 51 international matches and three Women’s Rugby World Cups under her belt. Closer to home, she played for the Glendale Women’s Premier League Team in 2013 and 2014, before retiring from the sport as a player. Jamie quickly rose through the ranks as a coach, not just in Glendale, but on the national scene as well. The hiring of Burke is yet another feather in the Glendale Rugby program’s cap and is widely seen as a boon to the already strong Glendale Youth Rugby program. Jamie Noelle Burke was born to Sharyn, a Naval Officer, and Paul, a Marine Corps Officer, at 1:04 a.m. on October 15, 1980 on a United States Marine Corps Air Station Base in North Carolina called Cherry Point. As the eldest of her siblings and offspring of two military officers, she spent most of her younger years on a boat with her mother and then a lot of her childhood moving from base to base, until her mother finally landed in Chesapeake, Virginia where Jamie was able to finish four years of high school at Oscar Smith. From early on, Jamie was a very competitive individual. In high school, she played soccer, basketball and football, but jokes about how she regularly got in trouble for being too physical. 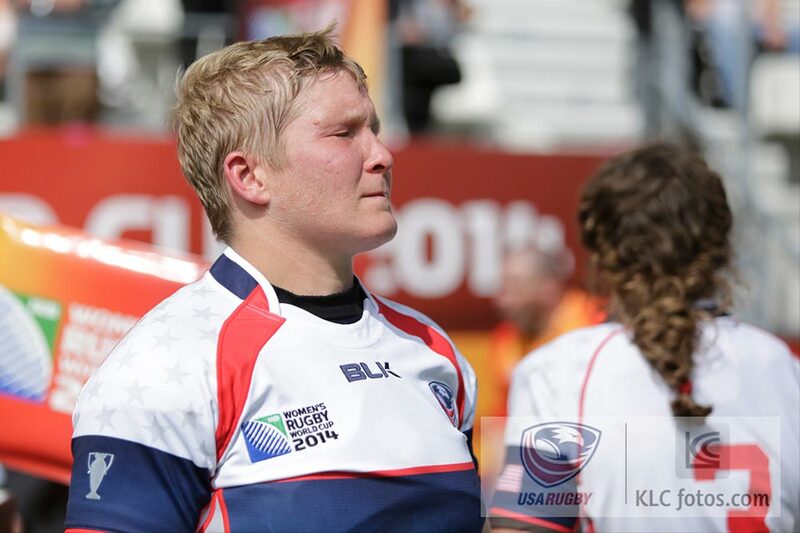 When she stumbled across rugby at the University of Virginia as a freshman she was hooked. Jamie’s love for the game was evident by her commitment to it. At UVA, she went on to earn All-American Honors in 2000, 2001, 2002, and 2003. In 2003, Burke also won the prestigious Woodley Award, given to the top collegiate player in the country. Following her graduation, she went on to play rugby for a number of clubs around the country, catapulting every team she played with to the top of their respective divisions. The Washington D.C. Furies, the Berkeley All-Blues, Beantown RFC, Raleigh Venom, and, of course, the Glendale team. 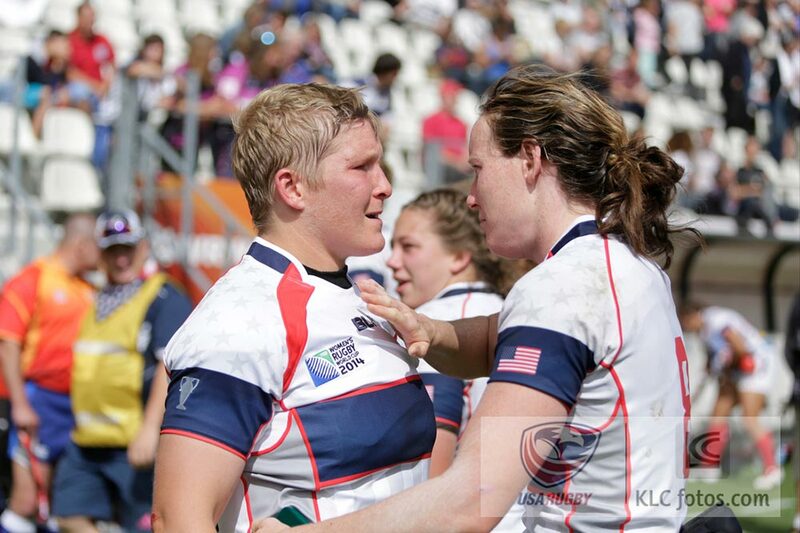 She also made her debut for the USA National Team (in 2004) and went on to play in the 2006, 2010, and 2014 Women’s Rugby World Cups. At the top of her game in 2010, she was a team captain at the 2010 Women’s Rugby World Cup and received several awards including IRB World Cup Dream Team. Of course, in any sport, there comes a time when your body just can’t keep up, and Burke admits that time came shortly after moving to Colorado. “While I was excited to be named to the 2014 World Cup squad, I could see the tide shifting,” she said. “There were younger props coming up that were now on a trajectory to be better than me. I wasn’t the starter I had once been, but, instead, had become a finisher. That was one of the biggest factors in my decision to retire. I wanted to leave the game as a player on my terms. Jamie says she started to treat her coaching like she had her playing. She continued to get better and seek more opportunities for development. Right around this time, she also finished her thesis and completed what would turn out to be her second Master’s Degree, this one in Education at the University of New Hampshire. “For me coaching and educating go hand in hand,” Jamie explains. 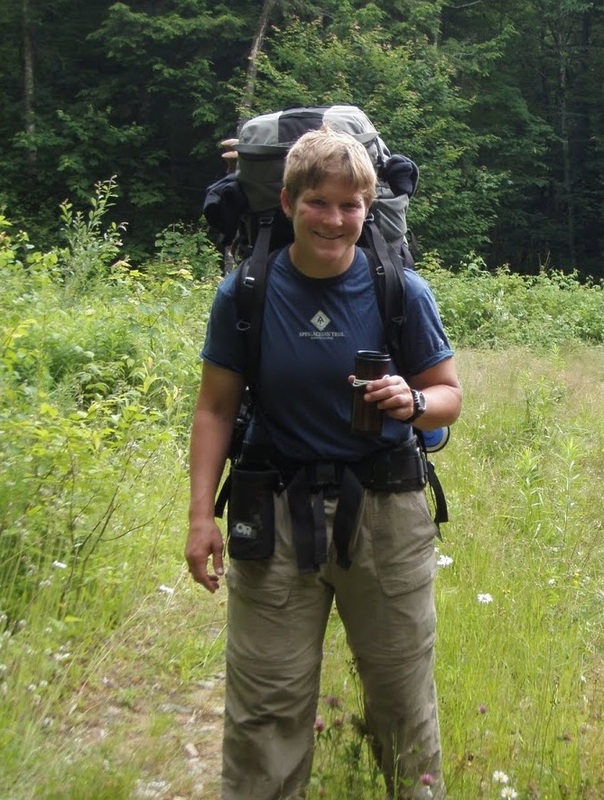 “At the beginning of my career, I worked for Outward Bound, basically guiding high school-aged kids into the wilderness for weeks or months at a time for value forming experiences. I would teach them all I knew about sailing, rock climbing and backpacking and then the outdoors would provide all the lessons they would need in managing adversity and developing resilience. 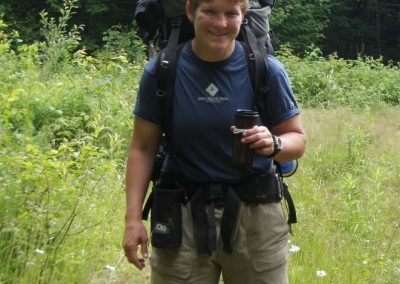 “Later, I worked for the Red Cross as an instructor and instructor trainer, which is really just coaching the coaches or educating the educators, whichever way you want to see it. But, I love that being a coach allows me to be part of something bigger than myself and even bigger than just a team. So how exactly does she intend on doing that? “Well, I’m not really looking to reinvent the wheel,” Jamie admits. “I am going to continue to run the youth programs Jenna built that have been very successful thus far. 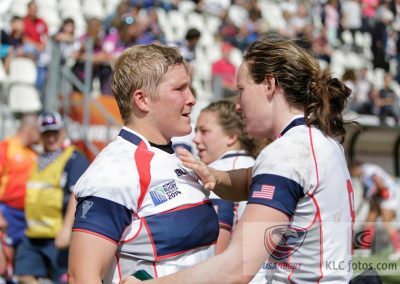 I’d also like to continue developing and deepening relationships with our current partners, Rugby Colorado, Girls Rugby Inc. and USA Rugby for instance, while also leveraging my relationships within the USA Rugby Training and Education program, Youth and High School Rugby, as well as other Rugby Unions both in North America and abroad. One of Jamie’s first programs on the upcoming calendar is Winter Indoor Rugby, where she’ll organize players (K-8) into various age groups and practice basic rugby skills on Saturday mornings for four weeks Jan. 26, Feb. 2, Feb. 9 and Feb. 23 (No Feb. 16), with a make-up day of Mar. 2, in case of a weather. 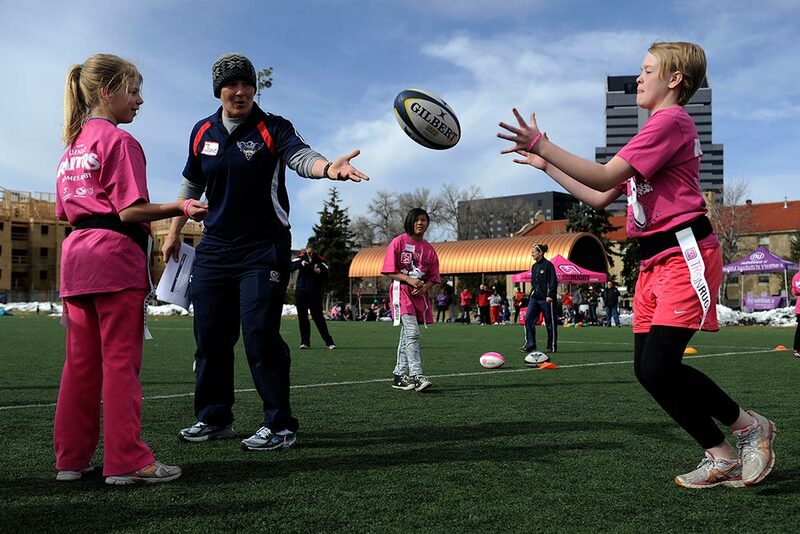 To register for this program visit our program schedule or contact Glendale’s new Youth Rugby Programs Coordinator directly via email at jburke@glendale.co.us or call her at 303-639-4713.